Could Your Migraines be Triggered by Light Sensitivity? According to several studies, the short answer is yes. In fact, even blind people with no light perception at all may be suffering from light-triggered migraines, even though they can’t see that light. Fortunately, specialty tinted lenses have been proven effective in blocking offending light to reduce migraine frequency. If you suffer from migraines, you may be keenly aware that you’re more sensitive to bright lights and loud noises than most other people, and science would back up that belief. In fact, it has long been known that migraine sufferers are more likely to experience light and sound sensitivity. For them, this sensitivity is in play even during times when they are headache-free. In a 1997 study, U.K. researchers compared the responses of 52 migraine sufferers and 48 non-migraine-sufferers while being exposed to increasing levels of light and sound. They found that the migraine patients had significantly lower tolerance for both light and sound than those don’t experience migraines. Researchers also discovered that this sensitivity tends to increase with age. One study from Baylor College of Medicine reveals that light sensitivity (or photophobia) is a major trigger for migraines in many people, but may often go misdiagnosed. But how does this happen? Researchers believe that many patients aren’t actually aware of increased light sensitivity during their migraine episodes. In this study, 85 patients with migraine or probable migraine were asked about light sensitivity. 24 percent of them initially answered that they were not light-sensitive during headaches. 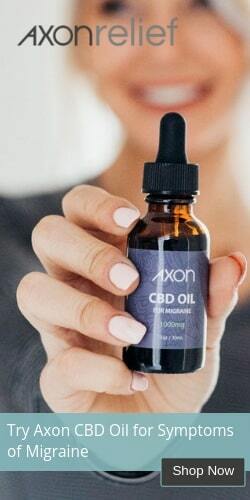 However, after being asked more detailed questions, 93 percent of these sufferers reported that they actually did experience increased light sensitivity. According to researchers, this study highlights the need for more detailed questioning to ensure proper diagnosis -- and therefore treatment -- of light sensitivity. Even in blind migraine sufferers, research has revealed that the optic nerve plays a major role in transmitting signals that trigger pain. One study of 20 subjects found that 6 blind migraine sufferers without any light perception at all (due to optic nerve damage or removal) were also unaffected by light during their migraines. This suggests that it’s the retina -- not necessarily the optic nerve -- that plays a role in migraines, even in eyes that cannot see. Of the 20 participants, the remaining 14 were able to detect bright lights directed at their faces. These patients had significant reactions when light was shone on them during migraine attacks. Another study from the University of Utah School of Medicine supports the concept that light in fact triggers specific neural pathways that are unrelated to vision. This study was focused on a 68-year-old patient who had been blind for 20 years due to a benign tumor. Although blind, this patient was found to suffer from headaches triggered by light. The researchers hypothesized the patient’s reaction was due to hyperexcitability of the trigeminal nerve, the primary sensory nerve of the head. In other studies, this nerve has been associated with light sensitivity and migraines, though it has nothing to do with sight. 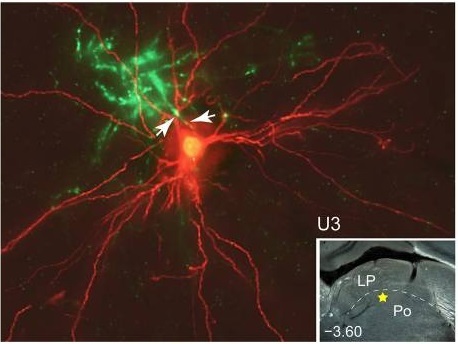 Looking at the beginning pathway between the retina and the brain. Fortunately for migraine sufferers, researchers from the John A. Moran Eye Center at the University of Utah Health Sciences Center found that migraine patients are particularly sensitive to specific light wavelengths. Their study discovered that specially-tinted lenses are effective in filtering out the offending types of light, alleviating migraine pain and frequency. These lenses, called FL-41, were also effective in treating overall light sensitivity in patients with photophobia. A study out of the U.K. indicates that special rose-tinted lenses help reduce the frequency, duration and intensity of migraines in children. In this study, both rose-tinted and blue-tinted lenses were evaluated over a four-month period in a group of 20 children clinically diagnosed with migraines. After just one month of wear, these children reported a reduced headache frequency with both types of lenses. However, kids who wore the rose-tinted lenses continued to experience reduced migraines for the entire four-month study, whereas the blue-tinted lens wearers did not. At the end of four months, the migraine frequency in children wearing rose-tinted lenses had dropped from 6.2 per month to 1.6 per month. But are Rose-Tinted Lenses Your Best Option? 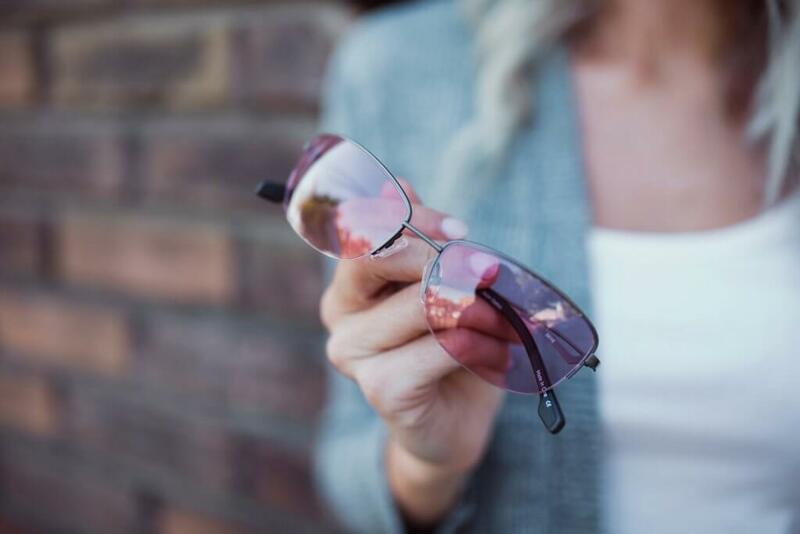 As you can see from the above studies, tinted lenses have been proven helpful in filtering offending light and reducing light-triggered migraines. Rose-tinted lenses are more effective than blue-tinted, but the research goes even further. According to a pair of studies from researchers at the University of Utah Health Sciences Center, FL-41 lenses are currently the most effective at blocking certain wavelengths associated with light sensitivity. These studies indicate that FL-41 lenses are better than gray or rose-tinted lenses when it comes to decreasing the effects of light sensitivity. Patients with benign essential blepharospasm (BEB), a condition that causes rapid blinking or eyelid spasms, have the same type of light sensitivity as migraine sufferers. The studies compared the effects on 86 patients when wearing FL-41 lenses, rose-tinted lenses, and gray-tinted lenses. This group included 56 patients with BEB, along with 30 subjects without BEB sensitivity. At the end of the study, researchers found the FL-41 lenses reduced both blink rate and eyelid spasms in the BEB group, plus superior improvement in light sensitivity and reading compared to the other lenses. Another study of FL-41 lenses indicated that they reduce the symptoms of photosensitivity in patients with a wide array light hypersensitivity, including those sensitive to fluorescent light.